I’m waiting in the Buenos Aires airport because our departing flight is delayed until midnight by an air traffic control strike. This is part of a general strike that has been called today across much of Argentina. Yesterday, we spent many hours walking around this wonderful city. After passing La Casa Rosada, the Pink House that houses Argentina’s presidential offices and which was made famous by Eva Peron’s speeches from the building’s balcony and, perhaps more famous, by Madonna’s portrayal of her in Evita, we heard beating drums, fire crackers, and chanting marchers. Workers took to the streets to voice displeasure with their working and living conditions. What a civics lesson for our children and for my wife and me! In our regular, suburban life, we usually are far removed from such a demonstration and the plight of the workers who marched. It provided opportunity to talk about the situation faced by many people in the world. Wave after wave filled the street. Some were boisterous young men in their public uniforms while others were young women walking quietly with children. 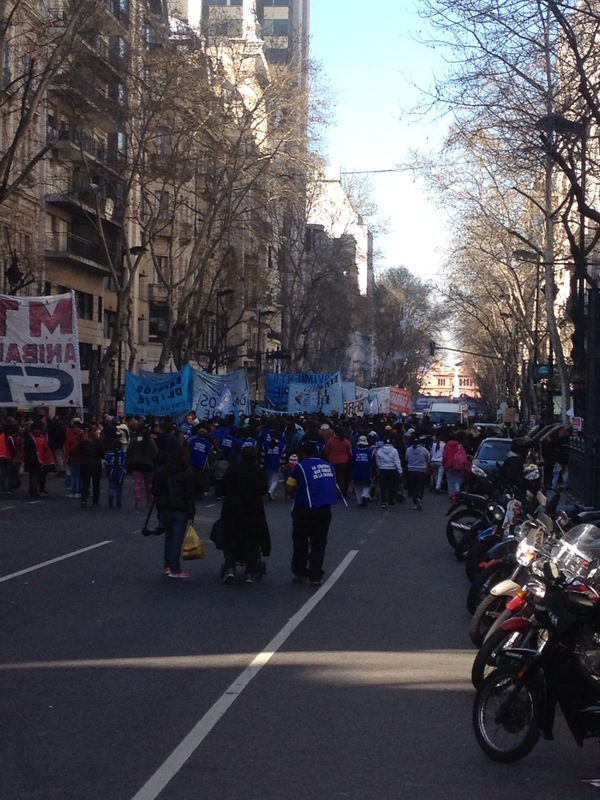 Today, Buenos Aires’ streets were quiet and nearly deserted as the general strike commenced. We rode the Subte, and rather than buzzing with commuters, we were some of the few people underground on the train. 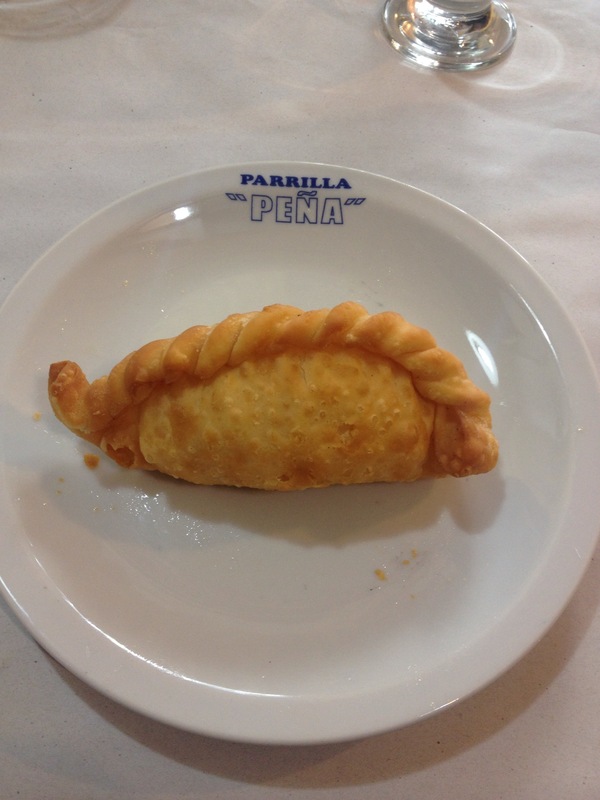 Thankfully for us, the workers at Parrilla Pena came to work today because we loved the delicious lunch we ate there. The empanadas, beef tenderloin, and Rib Eye steak for which Argentina understandably is well known were outstanding. By the time the taxi driver brought us to the airport, more people were on the streets, but I suspect today was calm and quiet compared to the beating pulse that usually greets guests in this city. Now, we have a bit more time at EZE airport, which is extremely comfortable with free Wi-Fi and nice seats for passengers. If we have to be delayed, this is a good place to be! Our visit to Buenos Aires was wonderful, and I hope to return someday. I’ll look forward to it, whether it is noisy or quiet. This entry was posted in South America, Travel and tagged Argentina, Buenos Aires, Family Travel, South America on August 28, 2014 by Dean Allen.